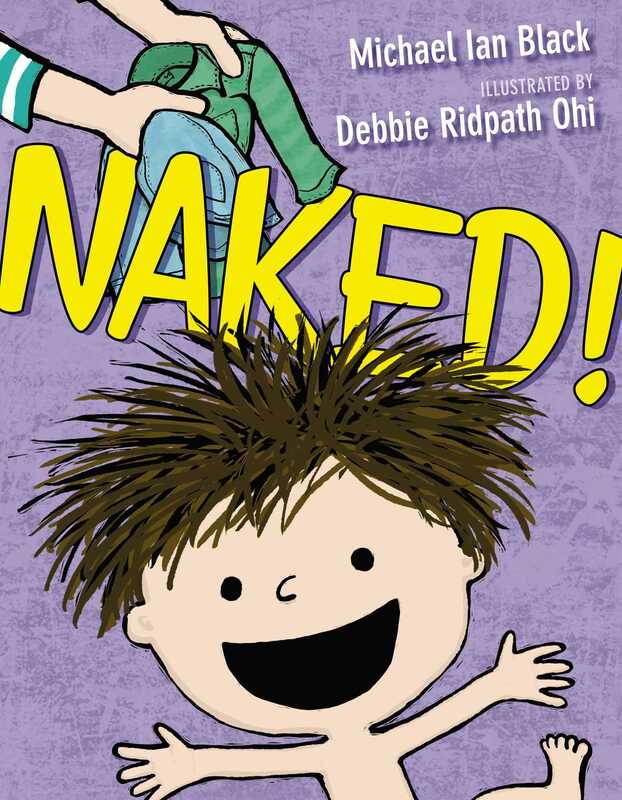 A hilarious new book about a boy who refuses to wear clothes, from comedian Michael Ian Black and illustrator Debbi Ridpath Ohi, the team that brought you I’m Bored, a New York Times Notable Children’s Book. * "'Naked!' It’s fun to say and fun to be, as the team behind 2012’s I’m Bored proves with this tribute to the (temporarily) clothes-free life.... Certain to inspire gleeful mimicry—not that some kids need much of an excuse to ditch their duds." "Black and Ridpath Ohi follow up on their I’m Bored (S & S, 2012) with another humorous picture book that taps into children’s emotions.... Parents sharing this story one-on-one with a child will find the picture book humorous on both a child and adult level." "Black, a comedian as well as a writer, brings great comic timing to this riff. Ohi, who worked with Black on 'I’m Bored', makes sure readers get the joke." Book Cover Image (jpg): Naked!